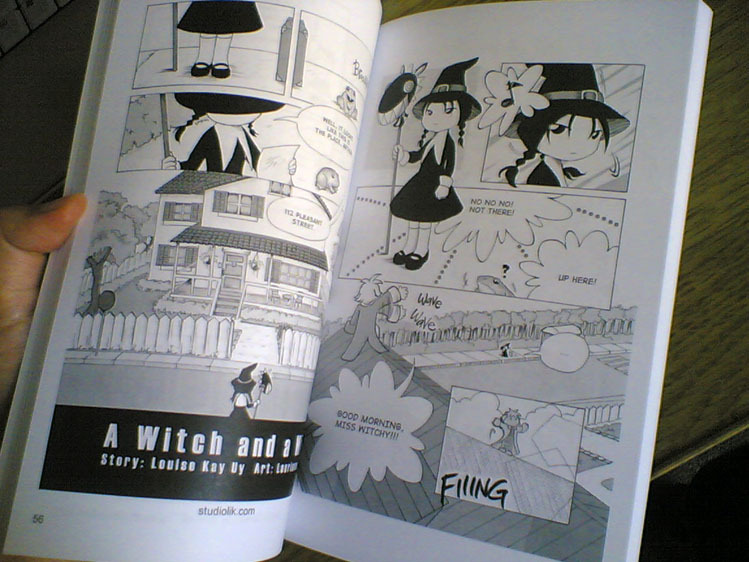 Witch and Wiz was my personal project entry for Tokyopop’s Rising Stars of Manga in 2005 even though I never actually got around to submitting it. It also doubled as my semester project for Art 61 Book Illustration class at Chabot College. 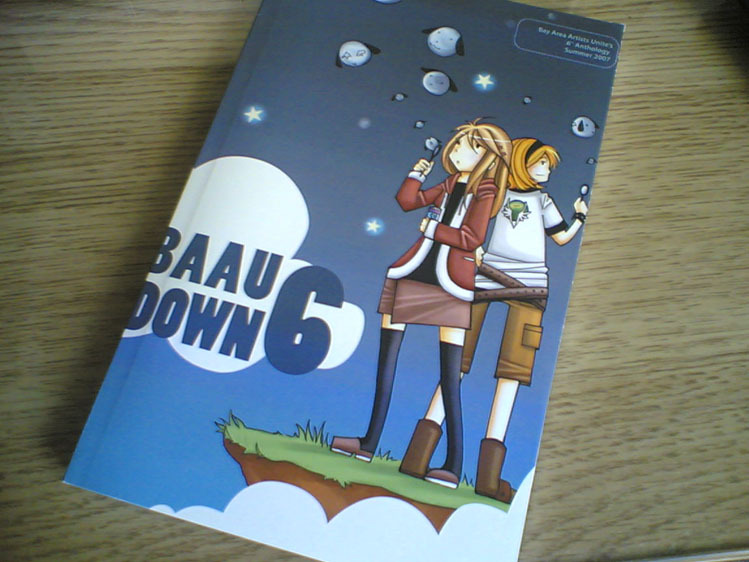 At Anime Expo ’05, I showed my portfolio with this printed comic to two of Tokyopop’s RSOM editors, and they pointed out places where I could improve. Their feedback was valid and I appreciated that opportunity to speak with them then. Alfred from the Bay Area Artists United also invited me to participate in BAAU Down 6 & 7 so it was nice to see this work in print. Overall, I’m still glad with the way it turned out. I’m pretty proud of it. Kay and I loved the characters and hope we can do more stories with them in the future.